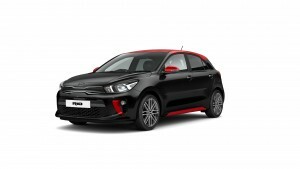 A new limited-edition model called the Pulse has been added to the Kia Rio range and it’s an impressive offering. Under the bonnet is a 1.25 litre petrol engine that will return economy of 60 mpg with emissions of 109g/km. The interior has a sporty trim complete with red highlights both inside and outside of the car which sits on 17-inch alloys. There’s also a 5-inch touch screen for the infotainment system as well as Bluetooth connectivity and a reversing camera is fitted as standard. 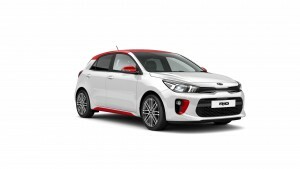 The all-new Kia Rio was launched several months ago and it’s already proved to be a sales success for the carmaker with the new Pulse sitting between the mid-grade 2 spec and the high-grade 3 versions. The new addition is recognisable with its red roof and red front vents as well as side skirt trims and mirror caps. There’s a lot to recommend this car which handles well and there’s a good six speaker audio system on board and the ability to stream music. Along with the reversing camera, which comes complete with dynamic guidelines to help the driver, there’s also rear parking sensors. Other safety equipment for the Kia Rio Pulse includes electronic stability control, cornering brake control, hill start assist and vehicle stability management – all aimed at helping drivers put the Pulse through its paces. This is down to the 16-valve, four-cylinder engine developing 83 bhp and torque of 121Nm at 4000 rpm. The end result, thanks to continuity variable valve timing, is a nice level of performance at the top end of revs and good responses in the mid-range. There’s also, to help economy, stop/start and a decent list of kit to attract buyers. The new Kia Rio is a well-made and well-designed car that offers drivers a lot in a competitive segment and it is a good performer around town as well as out on motorway; the new Pulse adds extra kit, some attractive styling additions and a surprisingly responsive petrol engine. Available now, the Kia Rio Pulse is priced at £14,595 OTR. This entry was posted in Car Leasing, Cars, Family Car, Popular Cars and tagged Kia Rio Pulse by Steve Lumley. Bookmark the permalink.